We offer spot UV coating at NextDayFlyers. Here are some guidelines to help you set up your files. You can add spot UV coating to selected areas of your design to highlight certain sections or information that needs to stand out. If being added to text, we’d suggest you make your font size bigger to really maximize the effect of the coating used. 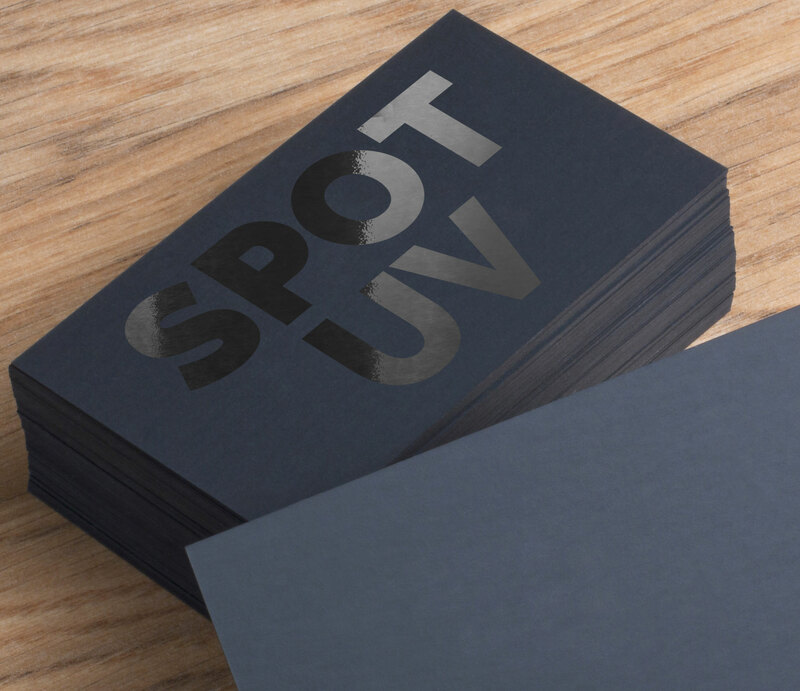 One thing to remember though is that spot UV coating cannot overlap with areas that are being applied with foil. If you have artwork that would use both foil printing and spot UV coating, there must be 1/16” gap between them. One last thing. Any part of your artwork that would have spot UV coating should be in vector format. We do this because any shape in vector format can be scaled without losing quality. If you’re submitting a Photoshop file for your artwork, for example, you want to convert a text layer to a shape by right-clicking the text layer then clicking “Convert to Shape” from the list of actions that pop up. If you’re feeling a bit cautious about ruining your design file, our Design Team can make the changes for you for a small fee. If you need further help setting up your file, call Customer Service at 855-898-9870 and ask about our Design Services.